Oregon State Credit Union’s 2017 philanthropic effort will exceed $200,000 with the largest gift directed to Oregon-based Children’s Miracle Network hospitals Doernbecher in Portland and Sacred Heart in Eugene which will benefit from $35,000 generated through an internal campaign match. Photo above: The staff of Oregon State Credit Union assemble with Doernbecher and Sacred Heart Children’s Hospital Foundation representatives and Troy Stang of the Northwest Credit Union Association to present a $35,000 check as the credit union’s contribution to their local Children’s Miracle Network locations. It was the highlight of Oregon State Credit Union’s 2017 philanthropic efforts that distributed more than $200,000 to approximately 175 schools and nonprofit organizations in its field of membership. The credit union has dedicated dollars to the local Children’s Miracle Network facilities for six consecutive years and that accumulative total now stands at $131,000. The 2017 amount included a match of $5,000 from the credit union’s ATM and shared branching partner, CO-OP Financial Services, which provided the grant out of their Miracle Match program. The 2017 Oregon State Credit Union philanthropic effort was distributed among approximately 175 schools, nonprofits and scholarship recipients located within the credit union’s 24-county field of membership in western and central Oregon. The total also included capital projects gifts to the Corvallis Boys and Girls Club, ABC House and continued annual commitments to the Samaritan Cancer Center and the Oregon State University College of Business. A majority of the annual credit union donation total is directed with an emphasis on youth and education. Many of those dollars are tied to scholarships established at the universities and community colleges in our counties with branch presence including OSU, Western Oregon University, Linn-Benton, Oregon Coast and Chemeketa community colleges. In addition, the credit union has a long established Tomorrow’s Leaders Today Scholarship Program that is now in its 19th year and has awarded 181 scholarships to high school seniors on their way to a college or university in the state of Oregon. That program currently selects ten recipients for scholarships of $2,000 each. K-12 students in our field of membership also benefit from education grants totaling $15,000 annually and applied for online by local teachers. 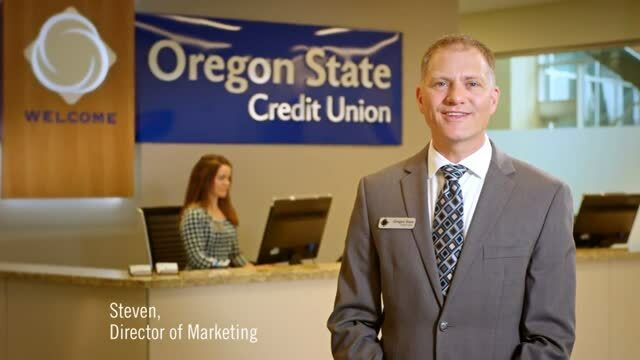 Oregon State Credit Union is a member-owned, not-for-profit financial cooperative. Learn more.